As a conservative, I’m browned off at the growing adulation of Robert Gordon Menzies. It got a kick-along in May on the seventy-fifth anniversary of his 1942 “Forgotten People” speech. Sure, our four most recent prime ministers, with their cumulative deficits of $400 billion would make a principled Liberal pine for Menzies’s small government, fiscal conservatism and stability. And it seems churlish to disparage a prime minister who presided over 4.1 per cent real annual growth between 1950 to 1965, and a stunning 5.1 per cent real annual growth between 1962 and 1968. But I’ll have a go. Menzies praised the thrifty and ambitious family as the driver of progress. But Menzies was complicit in, and actively supported, the price-fixing and market-sharing rings that operated in their multitudes throughout Australia at the expense of that thrifty and ambitious family’s shopping budget. Price fixing has come to be an accepted part of our social structure, and is no more morally reprehensible than wage fixing or fixing the price of a hair cut, or the price of electricity. Some people think it would be very nice for them if there were perpetual cut-throat competition for everything except selling a person’s services; but that is surely a very one-sided proposition. But it’s easy to find moral condemnation of cartels at the time, including from Menzies’s own team such as a future High Court Chief Justice (Garfield Barwick) and a future Liberal Party leader (Billy Snedden). Down near the base of the social pyramid, the June 1957 Victorian State Conference of the Shop Assistants’ Federation passed a motion condemning “the tendency to increase monopoly cartels and price-fixing arrangements as being against the best interests of the working class and in particular the shop assistants”. Low-paid shop workers, who rang up sales for the cartels, were also cartels’ victims. Decades later, in 1971, Labor’s then shadow minister Rex “The Strangler” Connor, not a chap I normally quote approvingly, was describing Australia as “the last frontier for economic banditry” where business was “controlled by every restrictive device known to the ingenuity of man”. The argument that market forces controlled manufacturers was invalid in Australia, for by the 1960s there was a system of monopolies and cartels operating: while free enterprise flourished, free competition was a figment. She was not exaggerating. In 1967 the competition lawyer J.G. Collinge wrote of restrictive practices and price-fixing that “horizontal agreements directly affect commodities in 52 of the 56 divisions in the Revised Standard International Trade Classification”. Business’s temptation to price-fix is so strong that even in 2000 to 2004, in the modern era with a $10 million penalty per offence, box-makers Amcor Ltd and Richard Pratt’s Visy, jointly controlling 90 per cent of the market, also production-shared and organised to raise prices. Amcor got immunity by dobbing in Visy, and Visy copped an enormous $36 million fine. Many companies are as accustomed to identical selling prices as they are to common labour rates and to common or similar prices for the materials they use … Often there is no recent experience of prices competition, occasionally no experience of it at all. Bannerman told a Perth audience in 1971 that there was more restraint on competition in Australia through restrictive trade practices than in “almost any developed country you can think of”. Even New Zealand brought in anti-cartel measures fifteen years before Australia. Iceland acted sooner than us. So did the UK, Belgium, France, Denmark, Japan, Norway, South Africa, Sweden and West Germany. To stabilise prices by controlling and regulating the wholesale and retail prices and terms and conditions of sale generally and to eliminate unreasonable and unfair competition in buying and selling by manufacturers, wholesalers or retailers and to control and regulate supplies. At late 1974, there were 2721 registered anti-competitive agreements among manufacturers, wholesalers and retailers. There were also 9289 restrictive distribution agreements (including some conglomerates writing deals for each of thousands of their distributors). The registered deals had increased by 3558 since 1968. As I look around my study, the following items in the Menzies era would have involved pricing cartels: desk and chairs; books; lamps; stationery; hammer and screwdriver; building materials; heater; shoes and clothing items. If nature calls, I’d go to our price-fixed china pedestal (in one year, three of the four makers decided to lift their fixed prices by a whopping 18 per cent) or I’d apply price-fixed toilet paper. Here’s a grass-roots case: In 1965 the Franklins sixty-four-store chain in New South Wales mutinied against the machinations of the Chocolate and Confectionary Manufacturers Association. Franklins’ managing director, Norman R. Tieck, revealed that the association had chopped his supplies because he cut prices of chocolate blocks from 2/- to 1/9, still with a comfortable profit. The chocolate cartel was hitting “many thousands of industrial workers and housewives in their daily struggle to make ends meet”, he told the Sydney Morning Herald, perhaps over-stating chocolate as a staple food. The thousands of restrictive practices were given the government’s blessing of secrecy and provisional legality in 1965, pending public-interest examination at some distant future date. Meanwhile families and customers were none the wiser. No one knows how much the price fixes hurt the family purse. Bob Hawke claimed in 2002 that one just one facet alone—manufacturers dictating prices to retailers—had cost Australian families “scores of billions of dollars”. A Treasury Round-Up issue (4/2008) referred to the “immense detriment anti-competitive practices caused to the Australian economy”. In Victoria the Bolte conservative government not merely tolerated price-fixing but in respect of beer, enforced it through the Liquor Control Commission to ensure “a comfortable level of profit”. As did, until 1976, the South Australian Licensing Court. Adelaide, city of churches, was also a bastion of retail price fixing, perhaps because of its small, clubby and long-standing business families. Some habits continued even after 1974. For example, hoteliers traditionally offered discounts on packs of a dozen beers in the run-up to Christmas. A leading hotelier disparaged this at a friendly lunch with three rivals on November 22, 1977. Next thing, the discounts disappeared. The prime mover was later fined $8000. Around the same time Adelaide retailers of name-brand bed linen had the convenience of a circulated price list that delivered a 70 per cent mark-up. Collusive tendering to authorities, “an elaborate pretence”, was also standard. As Billy Snedden told Parliament, business was “agreeing first, who will win; second, the price; third, the higher ‘cover price’ which the others then tender”. Menzies’s Attorney-General Garfield Barwick cited nineteen suppliers each bidding £27,578/14/2. Authorities were being held up to public mockery, he complained. Alex Hunter, professor of economics at the University of New South Wales, in 1963 estimated that 40 to 70% per cent of shires’ purchasing was hurt by rigged bids, as was 40 to 50 per cent of purchasing by all levels of government. I can insert here some personal stories, before my evidence for Menzies as guardian of the cartels. Leaving high school in 1958, I became a cadet reporter while a pal got a chemistry cadetship with Midland’s Government Railway Workshops. The Premier, Bert Hawke (uncle of Bob), the same year launched a royal commission into price fixing. Perth had only 500,000 people but hosted no fewer than 111 trade associations, busily fixing prices and assisting with collusive tendering. Business reps made it clear they wanted not free enterprise but literally “private” enterprise, free from public scrutiny and government interference. Q: Can you indicate why you are not in favour of government control and yet are in favour of private control in relation to price fixation? Business witness: Yes, because firstly, we stand primarily for free enterprise and the voluntary conducting of our affairs without being bound by statute. The companies were exploiting the Railway Workshops by identical tendering on forty-six products, including sleepers, cement, electrical cables, wire, car parts, fuels and toilet rolls. Bert Hawke’s 1956 Unfair Trading and Profit Control Act was replaced by his Liberal successor David Brand in 1959. Brand banned collusive tenders only if they were “contrary to the public interest”, top penalty being a mere £500. Around 1960 my young pal’s Midland bosses decided to do battle against the bid-riggers on high-value white undercoat and red paint for wagons. So instead of requesting standard paint, the workshop labs created chemical performance specifications for each paint item, and called for samples from bidders before considering prices. “It busted the cartel apart. We had rival paint manufacturers knocking at our door,” my pal told me. 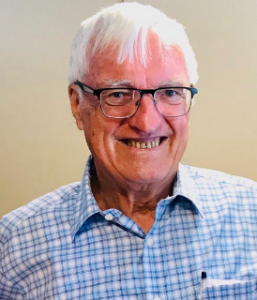 Soon after, Perth supermarket owner Tom Wardle, branding himself as “Tom the Cheap”, took on the grocery cartel buttressing the profits of the dominant Charlie Carters and Freecorns. Wardle ran his no-frills, high-turnover stores on margins of 10 per cent compared with his rivals’ typical 25 to 30 per cent. His rivals, in cahoots with about twenty key manufacturers, cut off his key supplies, forcing him to truck in goods from other states. He cultivated his “bad boy” image as a stripe-suited felon, and even took out newspaper ads naming companies that denied him supply. When the West Australian refused the ads, he brought out his own free weekly. His business expanded by 1969 to 185 stores and $200 million turnover in four states. He ran Australia’s third or fourth-biggest grocery chain. He became Perth’s Lord Mayor and was knighted, but went broke in 1977 over property and Swiss low-interest loans. Tom the Cheap’s saga illustrated the huge resources needed to take on the entrenched cartels. In 1971 I joined the Canberra Press Gallery as the Age’s economics writer. One week in March 1972 I did a ring-around of Melbourne local authorities, and was told of the following level-tender rackets: Box Hill Council—concrete pipes; Camberwell—pipes, road metal, petrol; Doncaster—pipes; Essendon—petrol, diesel and power kerosene; Collingwood—petrol; Coburg—petrol, and each make of car requested. The Coburg municipal clerk said he’d complained to Canberra for years. A chief of a large local authority told me that on electric cabling, nails, bolts and hardware, he would get twenty-five identical bids every time. He had busted one ring by awarding supply to the same bidder every time—it didn’t help him but it hurt the rest of the ring. On another product ring, he read suppliers the riot act. They agreed to cut their price by 10 per cent. But once out the door, they quickly restored the status quo by a 10 per cent price rise. On lamp globes, he said he had split supply nine ways to frustrate the bidders, “although it was hell administratively”. Looking back, I’m mystified that Victoria had an Act (from 1965) banning collusive tendering to government. Maybe local government didn’t count. In Tasmania, a royal commission in 1965 found the customary web of cartels and collusive tenders. For beer, all hotels had to be members of the Hotels Association to qualify for brewers’ rebates. The association also fixed the retail prices of bottles at hotels. The Royal Commissioner, J. McB. Grant, reported that the Tasmanian retail mark-up on booze was nearly double that in Victoria and New South Wales. But where was the Labor Party on this issue that degraded the living standards of millions of workers? It was preoccupied with factional squabbles and the lesser issue of monopolies, with an eye to controlling or nationalising them at the first opportunity. Some unions enforced minimum price fixes of their own. When Sydney supermarkets offered a 5 per cent discount on day-old bread in 1977, the bread delivery unions black-banned 700 stores and shut down half the bread supply to Sydney. To sustain carters’ jobs, bread-makers agreed to sell to retailers at union-specified prices minus 14 per cent, an interesting twist on the staff of life. The Transport Workers Union in New South Wales in 1975 banned petrol deliveries to stations displaying discount petrol prices. New South Wales motorists had to pay around seventeen cents a litre extra for tanker drivers’ job security. It’s time now to narrow the focus to Menzies and the cartels. I checked an armful of books and lectures on Menzies and his era and found just one discussion (by John Howard) and one mention of the pricing rings that luxuriated in Menzies’s shadow. For example, Allan Martin’s two-volume Robert Menzies: A Life—nothing. Ditto Gerard Henderson’s Menzies’ Child: The Liberal Party of Australia 1944–94—nothing. Menzies liberalism was based on a deep faith in the capacities of each human being, in the desirability of “a fierce independence of spirit” and “a brave acceptance of unclouded individual responsibility”. These values would build a better society. Thousands of employers’ price-fixing and restrictive agreements by the late 1960s weren’t far off what Menzies had decried in 1942. The C-word (for cartel) pops up once in that book, in the economic essay by Henry Ergas (ex-OECD) and Jonathan Pincus (Adelaide University). Neither seeming familiar with pre-1974 cartels, they remark that wage moderation, “cartels” and trade protection generated high returns for many producers, and that, reportedly, widespread collusion allowed inefficient firms to survive and efficient ones to earn “supra-normal returns”. That’s all you’ll find in 390 pages, apart from a footnote. Petro Georgiou’s 1999 lecture in the Menzies Lecture Trust annual series on liberalism is one of a number showing incompatibilities between St Robert and reality. Georgiou held Menzies’s former seat of Kooyong. He said, “Alongside Menzies’ philosophical commitments to enterprise and initiative, to the incentive to prosper and create, was a commitment to social justice. A commitment embracing a better distribution of wealth …” (my emphasis). His syntax magically conceals whether price rings are good or bad. The development of tendencies to monopoly and restrictive practices in commerce and industry has engaged the attention of the Government which will give consideration to legislation to protect and strengthen free enterprise against such a development. What? “Development of tendencies”? As if price-fixing were not already saturating the economy! Economist Alex Hunter at the time estimated there were 600 trade associations at work, two-thirds promoting collusive practices. It would be most undesirable to have an elaborate system of government controls which restricted true development, efficiency, and enterprise. On the other hand, the public interest must be paramount; exploitation must not occur. Barwick had not yet formed proposals, he said, and when finally cabinet made some decisions, there would be six months for submissions “so that no proper consideration will be overlooked”. Not exactly fighting words against cartels. Note that Menzies is complaining about big-business owners’ ingratitude: he was not showing any principled concern about their officially-sponsored feather-bedding. (Buttressing the cartels were effective import protection rates for manufacturing in the late 1960s of 61 per cent for metal products; 52 per cent for paper and printing; and overall 36 per cent). Still, Barwick’s 1962 proposals were the high point for the Liberals in (hypothetical) anti-cartel severity. That lawyer’s draft even cracked down on fixed fees for lawyers. But the proposals met plenty of internal opposition. As the SMH’s political correspondent wrote, “There is a lot of doubt whether the Prime Minister was really convinced either of [Barwick’s plan’s] political wisdom or necessity …” It was another five years—and one year after Menzies retired—before the public got even token government protection from cartels. A mysterious anti-cartel speech was delivered in 1962 by backbencher Billy Snedden, the future Liberal leader. He was morally outraged about what he called the multitudinous, harmful and untenable cartels victimising the “defenceless public” through “virulent and obstructive practice”. He seemed to hint at a revolt by a ginger-group of Liberals if government inaction continued. … agreements by one group beget similar and usually intertwined agreements by other groups in the distributive process. In its worst form it fixes prices much higher than they need be. In the lesser form it fixes prices to allow a comfortable margin of profit without the risk of a loss. Sanctions by the cartels—fines and expulsions—could drive transgressors out of business through denial of supply or refusal to stock the products. He warned that if the Barwick scheme was not rapidly implemented, the Liberals faced the threat of wilder, ignorant legislation by a Labor government criminalising business people with new laws “absolute in terms and extreme in penalty”. “Not only does the public want it [Barwick’s scheme] but the nation must have it,” Snedden said. There was no love lost between Snedden and Menzies, who later described Snedden as “a good junior but a hopeless leader”. had a rough time, with Menzies ultimately stepping in, in response to business concerns that the plan was too interventionist … All of the major organisations reacted badly to Barwick’s proposals. Menzies was specially sensitive to the opposition of the Victorian Chamber of Manufactures, which had been highly critical of the Coalition in the 1961 election campaign … By the middle of 1963 the final shape of the legislation was still unresolved … Menzies publicly hinted at major changes, saying the tabled proposals “were by no means the last word” and promised a second look at the “sweeping, clumsy and autocratic plans of the Attorney-General”. Did Menzies really describe Barwick’s plan as “sweeping, clumsy and autocratic”? Howard gives no source. It would be incredibly disloyal and inflammatory of Menzies towards his eminent cabinet colleague. Regardless, Howard makes no bones about Menzies undermining Barwick’s efforts. Barwick left politics for the High Court in April 1964, and the tatters of his anti-cartel proposals, after scores of debilitating amendments, were brought in next year. Cartels were given a further two years’ grace and then restrictive practices were merely subjected to registration and prolonged case-by-case examination—except for collusive tendering, which was banned. Menzies retired, trailing his clouds of glory, in 1966. There are many reasons to praise Menzies’s policies and achievements. But please don’t bang on about his concern for thrifty and ambitious families. He didn’t care if business combinations—economic bandits—exploited them mercilessly. Tony Thomas was Economics Writer for the Age in Canberra from 1971 to 1979, and wrote for BRW Magazine from 1981 to 2001. Restrictive Trade Practices Bill 1971, Second Reading debate from Nov 25. Pengilley, Warren: Collusion – Trade Practices and Risk Taking. CCH, North Ryde 1978, p51. Sources: Miscellaneous including Royal Commissions, CTP annual reports, court cases, press reports. Tony Thomas, Age 28/4/1977 p21. Martin AW, Robert Menzies, A Life. Carlton, Vic. : Melbourne University Press, 1993/1999. J.R. Nethercote (Editor). MENZIES -The Shaping of Modern Australia. Connor Court Publishing, 2016. p152 and 158. Industries Assistance Commission, 1976, Assistance to Manufacturing Industries. AGPS Canberra. The Country Party especially Sir John McEwen,(plus Playford, Bolte) made Menzies do it! Menzies was a captive of his time, Keynes, Deakin/Syme’s ideas. “picking on” – a familiar tic from the cry-bullies of the Left. Well, Pauline, the use of language will tell us a lot about a writer or speaker. Just as we detect heavy lashings of emotion and hysteria in the Lefty press through their carefully chosen descriptors – “far right” (when people come out to peacefully demonstrate against the Lefty mob), etc. ad infinitum – you are using the language of the Left when you use the term “picking on”. This confers victim-hood right away and I’m sure Menzies wouldn’t see himself that way. Your admonition “stop picking on Menzies” makes HIM THE VICTIM. I would suggest another way to write it would be..”use more finesse in your critique of Menzies”. I merely point this out to demonstrate how language tells a lot about US when it is ostensibly about something or someONE other than us. In short, many of us are inadvertently falling for the tired old tropes of the Left when, as conservatives, we should be capable of more independent though!! The above article is a knife job to discredit Menzies, using Mount Pelerin Society (MPS) economics. I once worked in federal parliament and fought MPS spawn in the Liberal Party branches of western Melbourne in 1990.The MPS ideology leads to libertarianism, anarchy, nihilism, it is antinomian and anti-Christian and against true conservative values. Sadly, it is now impossible, without personal abuse emerging, to have a wide ranging, mature political discussion, in the pages of the once great Quadrant (I first started reading Quadrant in 1962). You call me a lefty? For the record, and of the top of my head, my political heroes in Australia are: David Syme, Alfred Deakin, Sir John Monash, Sir Robert Menzies, Bob Santamaria, and someone who will argue TODAY against Mount Pelerin economic madness. Historically, in various ways, I admire Plato/Socrates, Jesus Christ, Oliver Cromwell, Thomas Paine, Alexander Hamilton, Henry Carey.